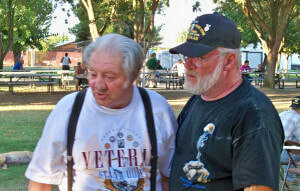 ​The Central Valley Veterans’ Stand Down (CVVSD) celebrates it's 30th year in 2019. The Stand Down is held annually for four days during the third week in September. This event makes available numerous services at one location and provides overnight facilities for our homeless veterans including three meals per day, showers, new clothing, personal hygiene bags, sleeping bags, etc. 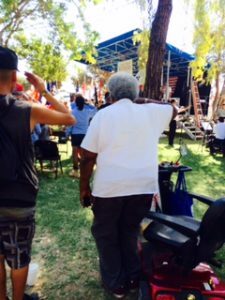 The Stand Down is a collaboration of numerous governmental agencies at all levels, non-profit organizations, active service members and veteran organizations and private businesses availableVeterans Stand Down to assist all veterans, active service members and their families, homeless or not. Our Central Valley Veterans will have access to drug and alcohol recovery counseling services, medical and dental services, numerous social service providers and be able to deal with outstanding legal issues with the help of the Fresno County Court system. They will also have access to educational counseling, employment counseling, home purchase and small business startup counseling, all of which will stimulate economic development and further help other veterans. 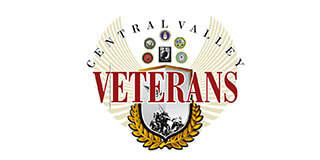 CVV plans to host 600-800 veterans and active service members during the four days in addition to100-150 homeless veterans and family members in our tent city.